The National Weather Service has issued a blizzard warning for parts of northeast Colorado for Monday night into Tuesday. A strong winter storm is expected to move across northern Colorado bringing snow that will be heavy at times. 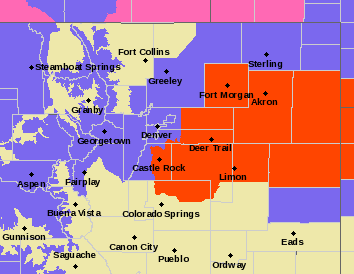 The blizzard warning starts as early as 8:00 p.m. for Akron, Limon, Fort Morgan and Byers. All or parts of Washington, Morgan, Adams Arapahoe, Douglas, Elbert and Lincoln counties are in the warned area. By early afternoon, Yuma and Kit Carson counties in Colorado, and several Kansas counties were added to the warned area. Portions of northern El Paso County will also be included in the warning starting at 9:00 p.m.
A blizzard warning for northeast Colorado Monday night into Tuesday has been expanded to include parts of Kansas. With high temperatures in the 50s Monday, the storm system could start as rain in some areas before quickly switching to snow. Up to 10 inches is possible across the area along with wind gusts between 50 and 60 miles per hour. The snow may help with dry conditions impacting much of the state. Travel is expected to be difficult and dangerous as blowing snow cuts visibility and creates whiteout conditions. Elsewhere across northeast Colorado, a winter weather advisory will be in effect starting at 8:00 p.m. Much of the western half of the state is also facing winter conditions. The weather service recommends avoiding travel, but if you must go out, make sure your vehicle has a winter survival kit. 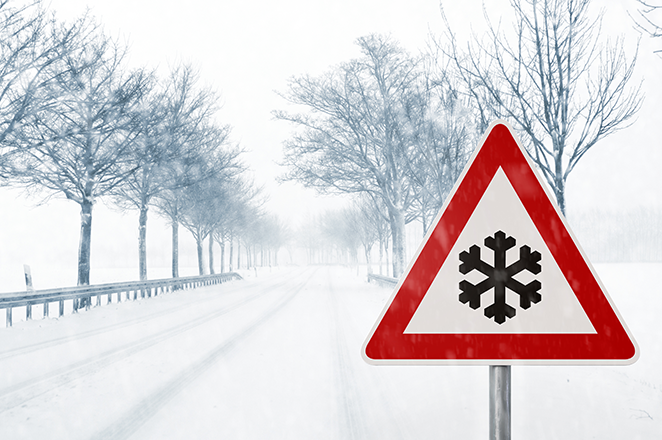 Stay in your vehicle if you become stranded, and run the engine for 10 minutes every hour for heat - but make sure the exhaust pipe is clear of snow and not blocked. For the latest road conditions, check www.cotrip.org, or call 5-1-1.